"Why don't you do your own dirty work?" 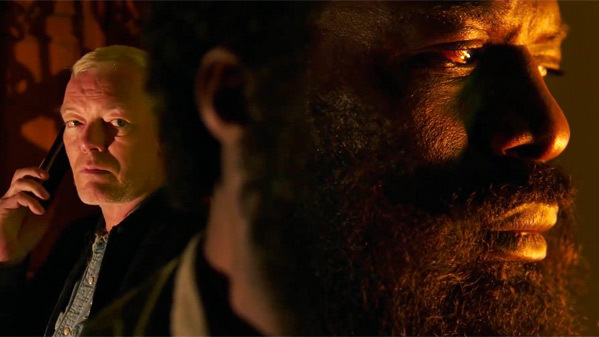 Saban Films has debuted the official trailer for Domino, the latest movie made by prolific filmmaker Brian De Palma, who hasn't been making much (in the way of feature films) since Redacted in 2007 and Passion in 2012. The rather generic plot in this involves a police officer from Copenhagen who seeks justice for his partner's murder by a mysterious man, ending up in a cat and mouse chase with a duplicitous CIA agent with his own motives. Nikolaj Coster-Waldau stars, along with Carice van Houten, Guy Pearce, Søren Malling, Nicolas Bro, Thomas W. Gabrielsson, and Paprika Steen. For those who have been waiting for De Palma's comeback, this doesn't look like it will be that. A bit too unexciting and familiar, with a story that we've already seen many times before. Take a look. In a world wracked by terror and suspicion, Copenhagen police officer Christian seeks justice for his partner's murder by an ISIS member named Imran. On the hunt for the killer, Christian and a fellow cop become caught in a cat and mouse chase with a duplicitous CIA agent who is using Imran as a pawn to trap other ISIS members. Soon, Christian is racing against the clock -- not only seeking revenge but to save his own life. Domino is directed by prolific American filmmaker Brian De Palma, of many films including The Wedding Party, Sisters, Phantom of the Paradise, Obsession, Carrie, The Fury, Dressed to Kill, Blow Out, Scarface, Wise Guys, The Untouchables, Raising Cain, Carlito's Way, Mission Impossible, Snake Eyes, Femme Fatale, The Black Dahlia, Redacted, and Passion previously. The screenplay is written by Petter Skavlan. 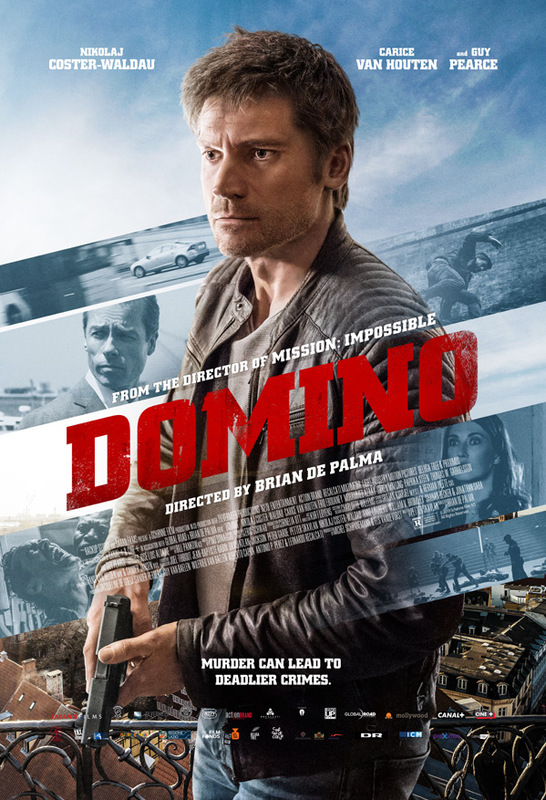 Saban Films will release De Palma's Domino in theaters starting May 31st this summer.